It was on the wild roads of the Swabian Alb in southern Germany that the 294kW/550Nm Porsche Macan Turbo proved it was a slicker ride than the cumbersome Cayenne. 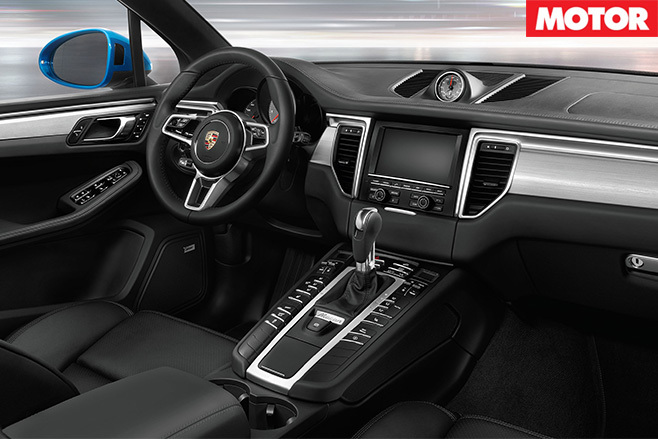 Weighing 1925kg, the Macan will reach 100km/h in 4.8 seconds (specify the Sport Chrono pack and you can deduct a further 0.2 seconds) and has a maximum speed of 266km/h. 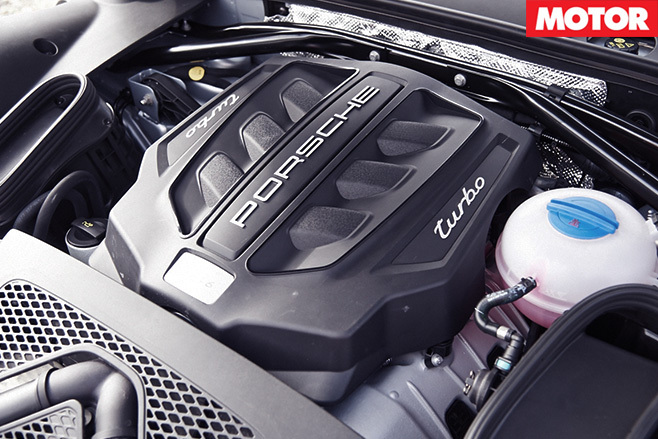 Redlined at 6700rpm, the turbo engine feels commendably urgent, responsive and smooth. Fitted with a seven-speed dual-clutch transmission, the Turbo employs the same four-wheel drive system as the current Cayenne, which distributes torque via an electronically controlled multi-disc clutch. It’s a long-legged gearbox with fifth, sixth and seventh calibrated to cut revs, noise and consumption. When you flip the lever over to manual, tight corners, short straights and steep climbs rarely require anything but the bottom four gears. The Macan is blindingly quick, especially by crossover standards. The straight-line acceleration is simply awesome, and even through sharp corners the 294kW crackerjack remains firmly planted, stable and safe. Press on, though, and the electronic aids will begin to interfere. When paired with the optional lane guard system, for instance, the electro-mechanical steering will intervene with insistence to keep the carriage on course. Torque Vectoring Plus is another welcome system that employs intermittent brake actuation and the locking of the rear-axle differential to improve traction, turn-in precision, agility, cornering grip and stability. Strictly reserved for the devil inside is the PSM Off button. Although all other functions remain intact, the absence of traction and stability control makes a profound difference to the Macan’s handling. Through second- and third-gear corners, oversteer is prevalent. In the wet, it’s dished up immediately after turning in. In the dry, the slide-show commences past the apex – exactly where you don’t want to run out of road. In either case, extra care is advisable – after all, this Porsche weighs more and has a higher centre of gravity than those chuckable sports cars. The V6 sounds nothing like a rowdy GTS in disguise. Those who insist on making their presence heard can specify a pair of switchable free-flow silencers. The Sport Chrono pack also helps the soundtrack – the Macan will raise its hackles, blat-blat through downshifts and drop an octave or two during upshifts. The Macan Turbo scores for its mixed bag of talents. It darts through wild twisties, holds the road, steers with precision, and brakes with tremendous vigour. Yet, after a day’s work on southern Germany’s challenging natural playground, I am still not sure if this Porsche is quite as rewarding as the identically-priced Cayenne V8 diesel.